Greetings all! I’m happy to report that my article, “A Presidential Pursuit” was published this morning in Sporting Classics Daily, which is Sporting Classics’ online magazine. This article presents little known firsthand evidence that our first three United States Presidents, George Washington, John Adams, and Thomas Jefferson were, to some extent, bird hunters. For those of you who are interested here is the LINK to the article. Be sure and check it out! 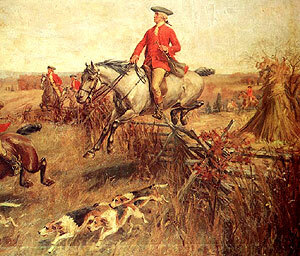 George Washington loved to fox hunt, but there is also evidence he enjoyed bird hunting. Next Post JOHN ADAMS: A GROUSE HUNTER?